Throughout my life, I've had a devoted interest in crust and crumble, usually my favorite part of a dessert. 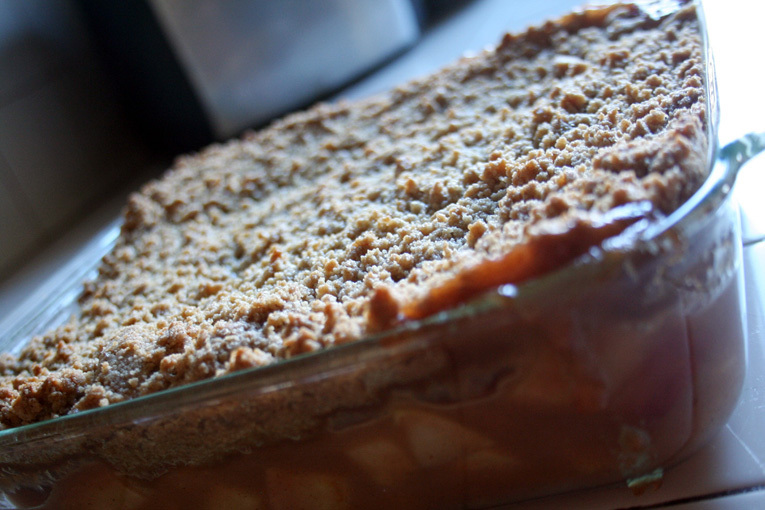 This Homestyle Apple Crisp is a hearty version that renders that thought a reality. 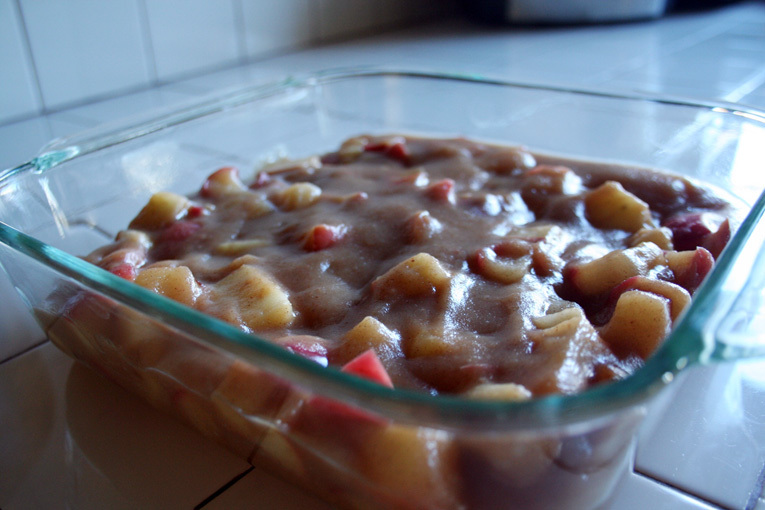 The filling is a combination of sweetened, sliced red apples and a homemade apple sauce. The crumble topping is a flour-sugar-butter blend that brings the 'crisp' true to its name. It takes a little more time to make than using canned ingredients, but I believe that fresh is best for these types of homestyle desserts. Enjoy!! "What's the difference between a crumble, crisp, and cobbler? Are ALL just as delicious?" Was asked the other day. In my upbringing, crumble and crisp were used interchangeably. The two involved a sweetened fruit filling topped with a combination of flour, butter, and sugar sometimes with nuts, oats, or eggs. At times, the oats or nuts would be tossed with the fruit and covered with just the flour-sugar crumble topping. 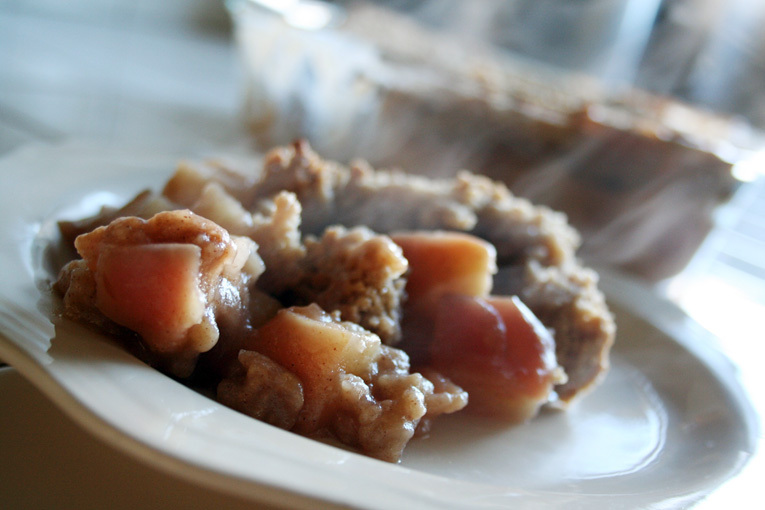 Cobbler took a different turn with its texture. It started as a buttery sweet batter 'dropped' with fruit and baking into a cake-like finish with fruit in, on, and around. 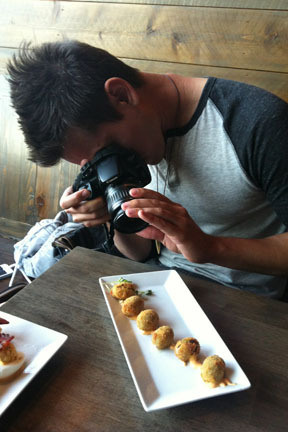 However, no matter which dessert was brought to our table, each dish was equally delicious and devoured. Slice and remove the core from 5 of the apples. 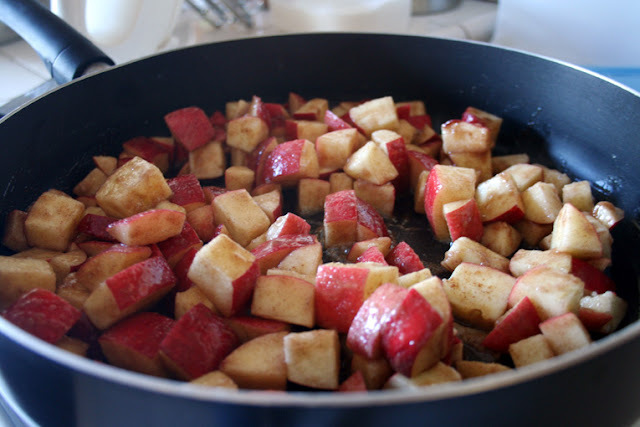 Fill a medium pot with water, add the apples and 1 tablespoon of white sugar. 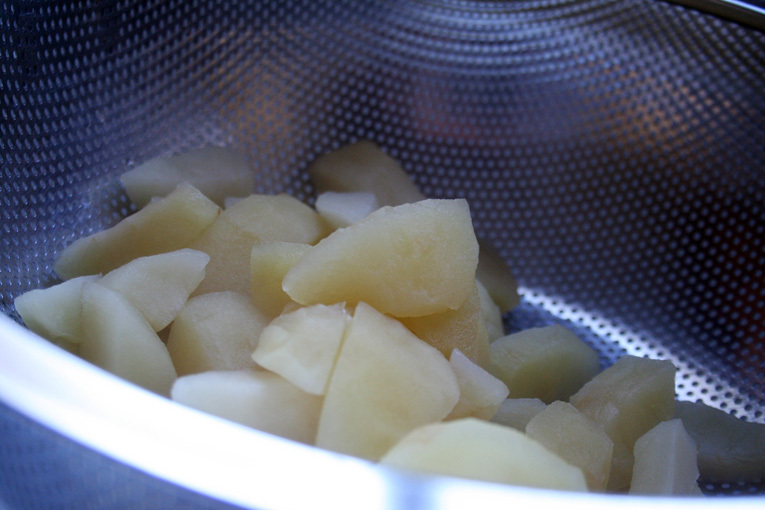 Heat until boiling and apples are softened (approximately 20 minutes). Drain the water and pulse in a blender until smooth. Slice the remaining 5 apples and toss with sugar, cinnamon, and flour in a small bowl until evenly coated. In a medium saucepan, melt butter and toss in apples. Cook until softened (approximately 15 minutes). Voila! 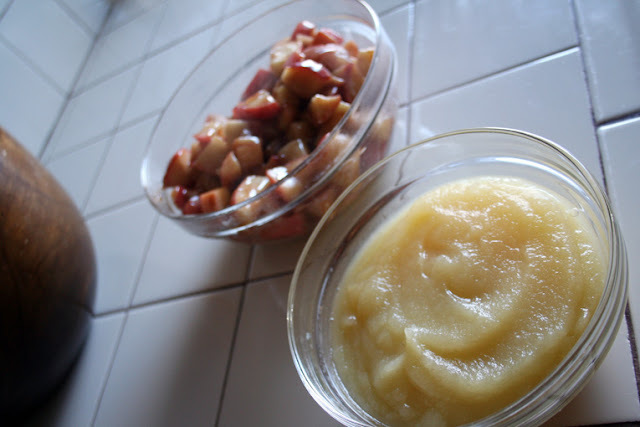 At this point we've made fresh Apple Sauce and Apple Pie Filling!! Combine the two and pour into an ungreased 9 x 9 glass baking dish. Here's the fun part: crumble topping!! 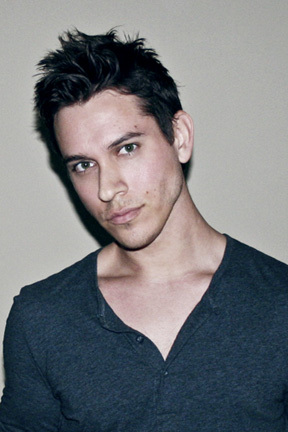 In a mixing bowl, combine flour, sugars, and cinnamon. Fold in the butter and shortening until well blended. 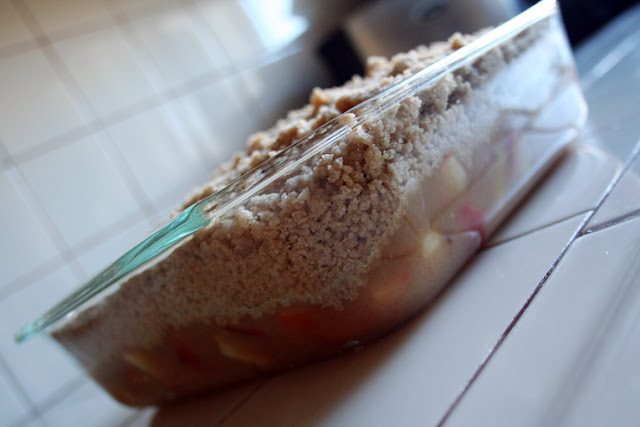 Use mixer at a medium setting, adding water, 1 tablespoon at a time until the crumble is at the preferred consistency. My rule of thumb? Stop when small beads form. Sprinkle the topping over the filling so there's a good depth. Bake at 350 degrees for 35-40 minutes or until the topping is a golden brown. Allow to cool slightly before serving.